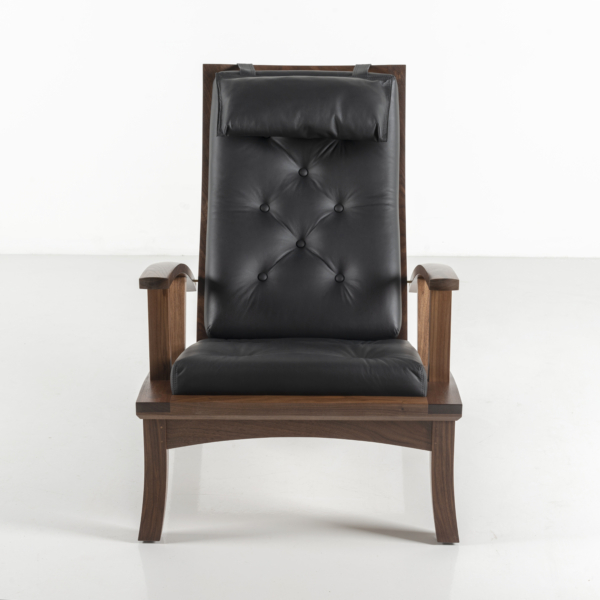 Shaped to emulate the curvature of the human form, and cushioned in silky-soft tufted leather, the aptly-named Lolling Chair is designed for pure relaxation. 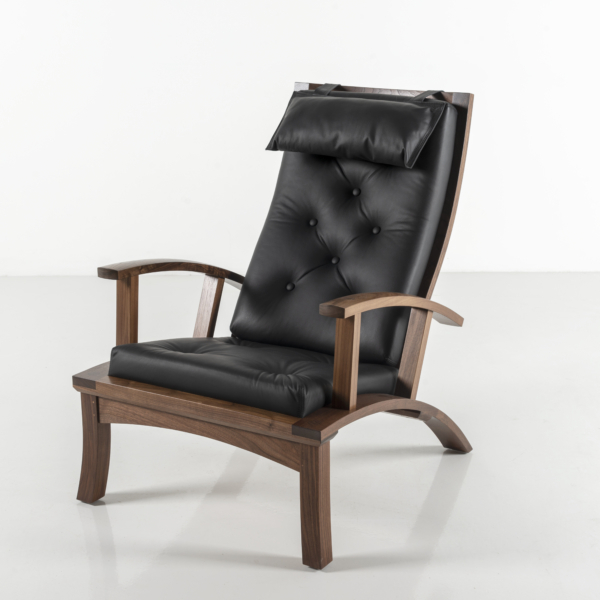 True to its purpose, this delightful design shifts with ease between upright and reclined in five distinct angles. 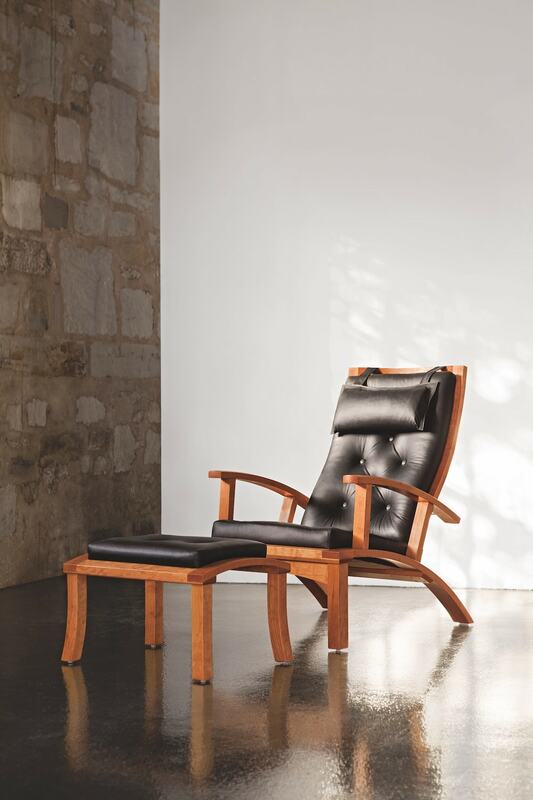 Whether admiring a treasured work of art or a heavenly vista, or if enjoyed only for a moment’s quiet reflection, the Lolling Chair is built for comfort and contemplation. 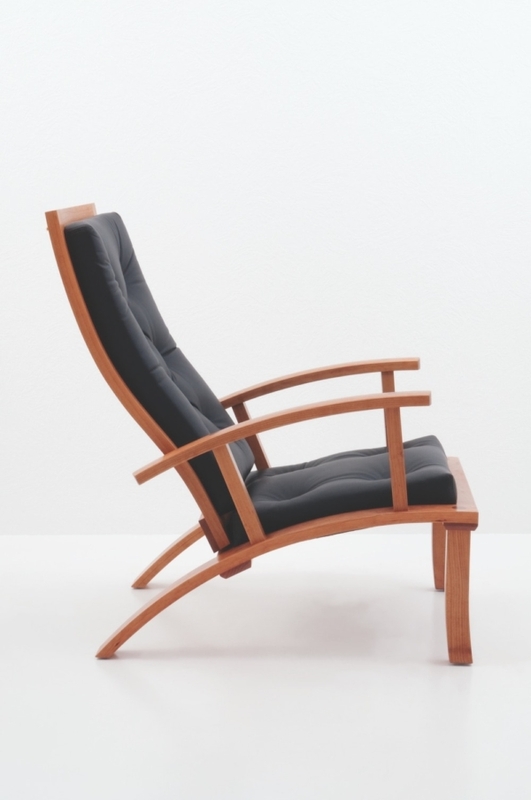 The design of the Lolling Chair references the ubiquitous form of a post-WWII porch chair built by the Heywood Wakefield Company from Massachusetts. 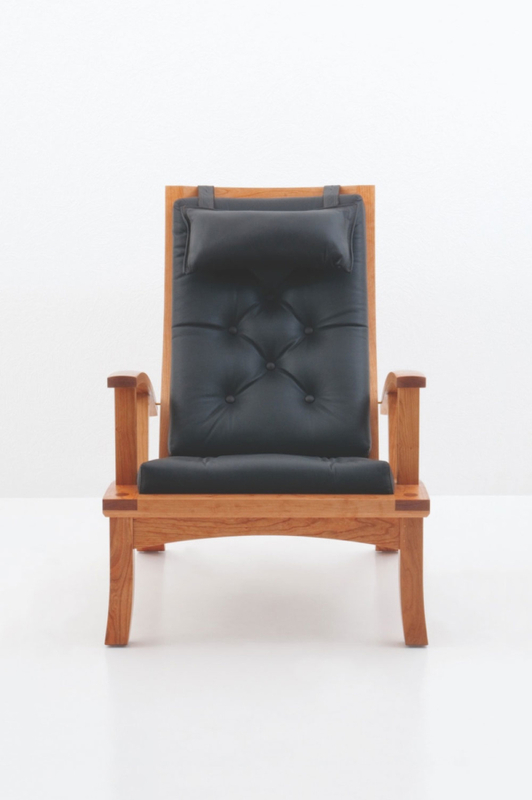 Wakefield’s chair was made of yellow birch and stained a honey maple, with all rounded corners and awning-like canvas cushions, and in its day could be found on countless porches and sunrooms. Our Lolling Chair serves the eye and the body at rest in the living room, in the den, at home, or in the office. 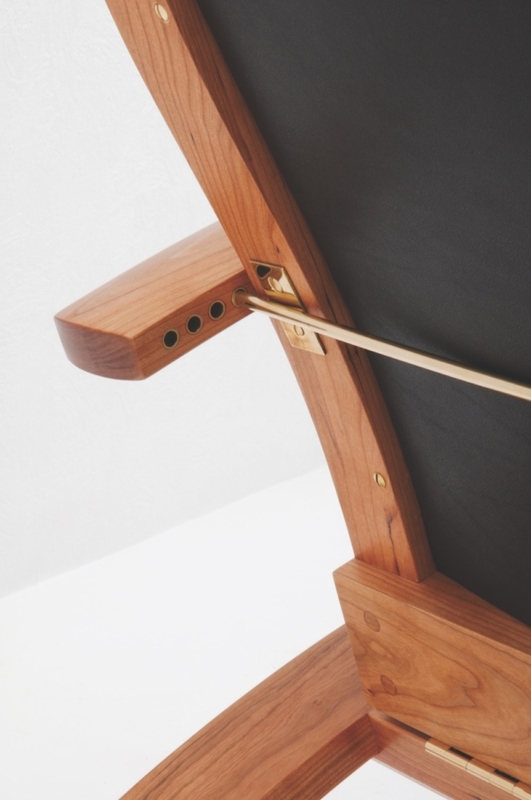 The five-position back transforms the angle from upright to reclined using an adjustable brass rod. The removable headrest is also adjustable. Curved armrests with our hand-rubbed finish provide tactile richness. 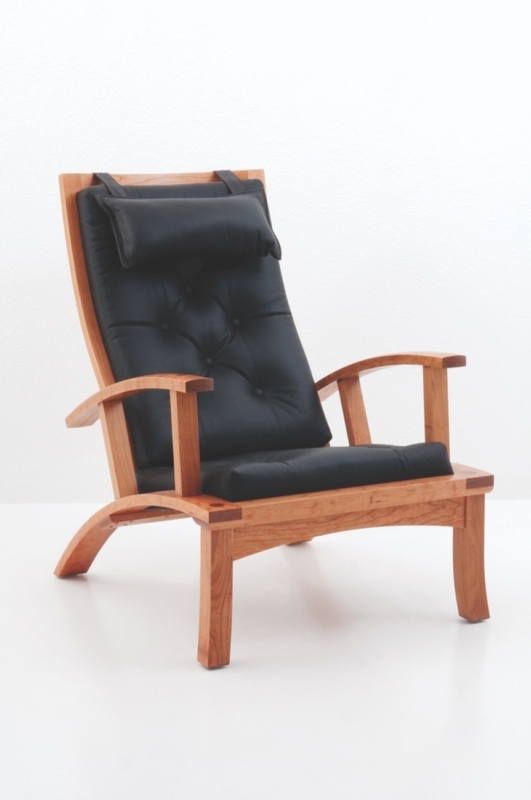 The Lolling Chair has been a long time favorite of our customers and one of our best sellers for many years. 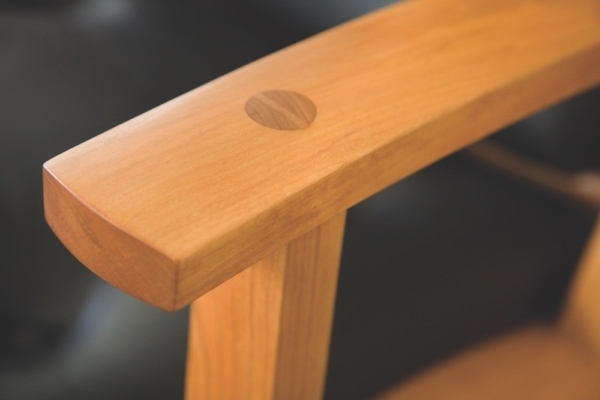 A proud example of thoughtful design and fine craftsmanship, the Lolling Chair pairs naturally with the matching Lolling Ottoman. Designed with comfort in mind, the chair’s beauty is every bit as evident – making it a natural choice for your favorite relaxation habitat.